Home away from home -- MSR Access tent. I woke up gasping for air as the tent wall pushed flat against my face. We found ourselves in the middle of a nasty wind storm, with gusts so strong they forced the side of tent completely in on itself. The next morning, covered in dust, sleep deprived, and yearning for coffee, we made a quick inspection of the tents and found they were no worse for wear. Good thing we were on Mt. 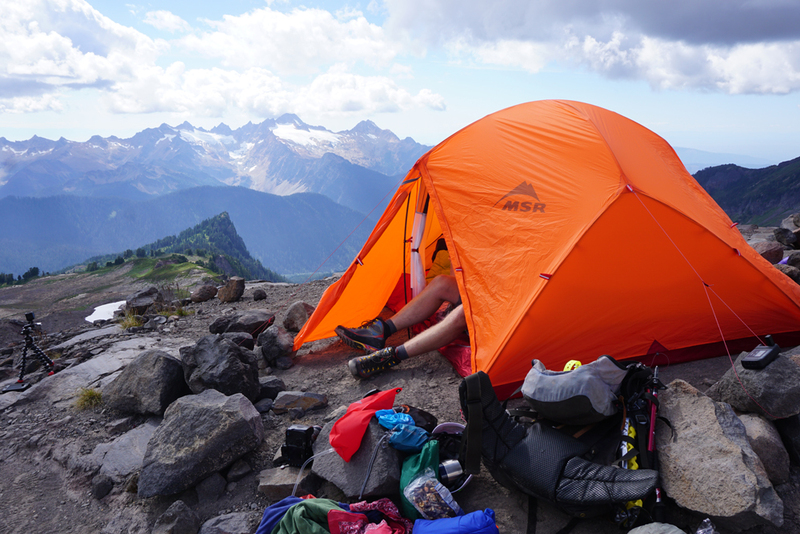 Baker testing the new four season tents from MSR — anything less burly may not have fared so well. Mt. Baker sits around 134 miles northeast of Seattle and after Rainier, is the most glaciated peak in the Cascade Range. Ten main glaciers call this mountain their home. Not to mention a still active volcano — with Sherman Crater bubbling away just below the 10,781-foot summit. MSR teamed up with BCA Adventure Guides for our 3-day ascent of the mountain via the Easton Glacier, offering the perfect testing ground for the new Spring ‘17 line of tents and cookware. The Railroad Grade Trail moraine with Baker behind. A few hours drive from Seattle brought us to the trailhead at Schreibers Meadow, where we camped out beneath the Milky Way before starting up the next morning. Caffeinated, fueled, and fully loaded, we headed up the huckleberry-lined Park Butte Trail before popping out on the exposed ridgelike moraine that makes up the Railroad Grade Trail. We opted to set up basecamp above the oft-used Sandy Camp spot at 5900 feet, even though it meant an extra 500-600 feet of climbing. We found a bit more privacy right on the edge of the glacier and unbeatable views across to the Twin Sisters Range. 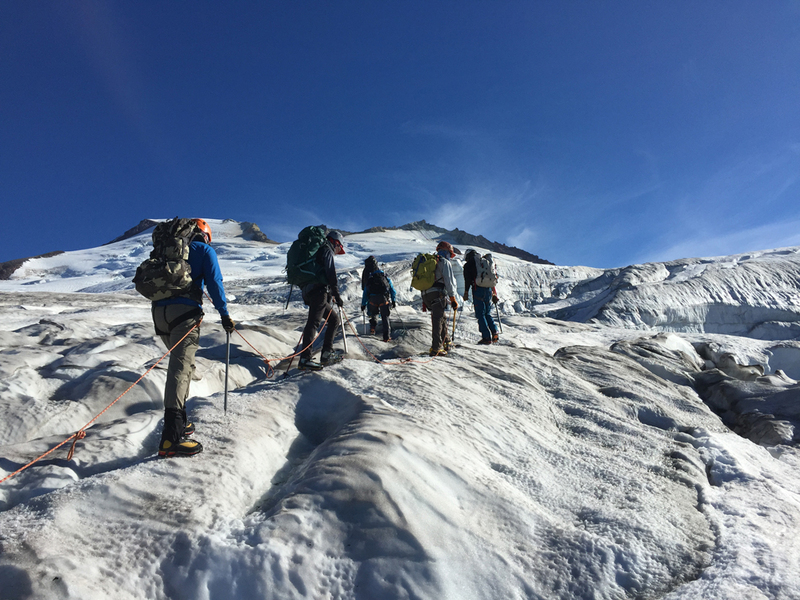 After setting up camp, the rest of the afternoon was spent practicing our glacier travel skills such as self-arrest and how to move as a rope team. Serious but fun at the same time, we took turns yelling “Falling!” and running as hard as we could down the slope to see if our rope mates could arrest our fall. Owen enjoying the sunset show. As the sun started to set, putting on a spectacular show of colors, we could finally see the water shimmering in the distance. It was hard to believe that just a few weeks ago, I was out there on Orcas Island looking up in awe at where I was standing at that moment. Working our way up the Easton Glacier. We were blessed with a great weather window and full day to complete the climb, so decided to forgo the usual alpine start and begin our summit push after an early breakfast watching Baker cast its sunrise shadow on the San Juans. Slowly picking our way up through the late summer crevasse exposure on the Easton Glacier, we were careful to keep watch on the rope length between us and ready to self-arrest at any moment. During our second break, we got the chance to peer down into Sherman Crater and its rising plumes of sulfuric gas before hitting the final steep wall to the summit plateau. As it’s covered in dirt, it’s hard to believe that Grant Peak (the official made for Mt. Baker’s summit) is actually a 1,300-foot-deep mound of ice, which hides a massive volcanic crater. Cameron signing the summit register. 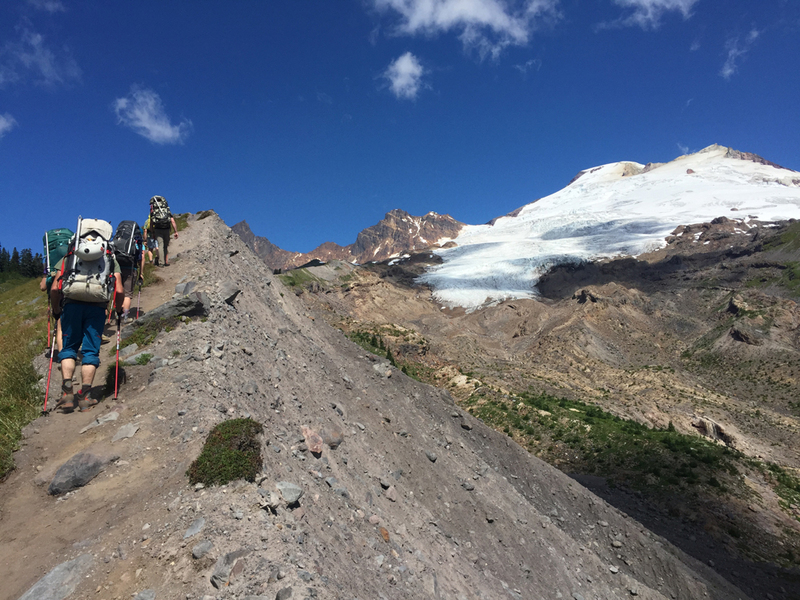 By the time we took our summit selfies, boiled up some drinking water, and got ready to head back down, the glacial snow had turned slushy and forgiving. I’ve never had so much fun descending a peak before. The solar oven had kicked into high gear, however, so I was extremely thankful for my Buff and solar hoody. Before making the final snow slope descent into camp, Matt took us on a side trip to his favorite lookout over Deming Glacier. Perched high on a rocky ridge separating the Easton and Deming glaciers, you can see from the summit all the way down into the river valley below. I could have sat there for hours watching the sun set upon the scene, but a whisky snow slushie and burrito dinner back at camp beckoned. Panoramic view of Deming Glacier. The next morning we made quick work of packing up camp and making it out to Burlington, WA for a celebratory pint and burger at Train Wreck Bar & Grill. See you next summer, Cascades? I can hear Rainier calling. MSR Access and Remote Tents: We stayed in a combination of the new Access and Remote 4-season tents. The Access are lighter than most mountaineering tents (3 lbs. 10 oz. for a 2-person) but provide more protection and warmth than backpacking tents. Designed for backcountry skiers, fat bikepackers, and anyone else traveling long distances in winter conditions, you get a relatively high level of livability (2 doors plus 29 square-feet of floorspace and 17.5 square-feet of vestibule space in the 2 person) in a lightweight package. Not to mention the bomber Easton Syclone poles that routinely bounced back from being flattened by the wind. 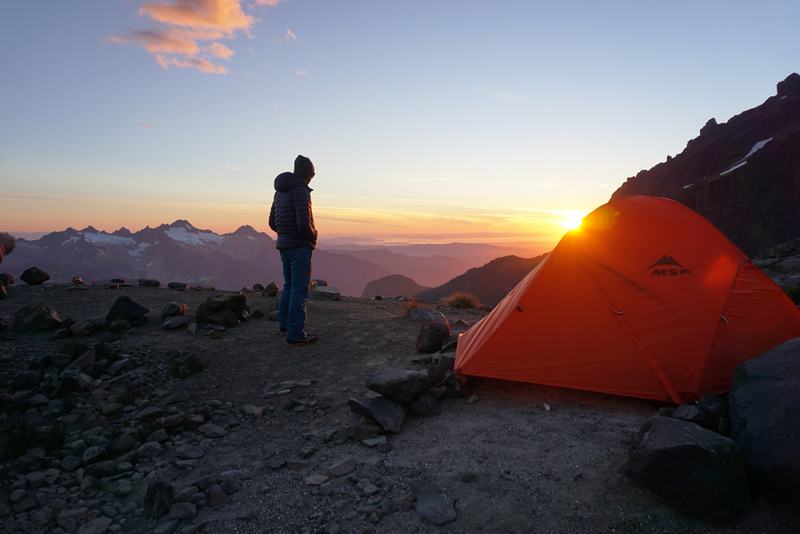 The Remote Mountaineering Series tents were built with livability (33 square-feet of floor space and 22-square-feet of vestibule space for the 2-person) and weather protection in mind, protecting mountaineers in extreme conditions, whether tackling a multi-day or multi-week trip climbing mountains. Atypical for lightweight mountaineering tents, the unique central support frame stands up to extremely high winds and pressure from snow loading, providing a safe and comfortable space to wait out a storm or get ready for your alpine start. Extra space is allotted for bulky mountaineering gear and two large doors allow for easy entry and exit — also the ability to dig a vestibule snow pit for cooking and getting your boots on and off. Sleep System: Therm-a-Rest’s NeoAir XTherm provides enough warmth that you can leave the Ridgerest behind on a climb of this size, and although the 22-degree F Adara HD hydrophobic down sleeping bag might have been a bit overkill for the weather we had, I was sure nice and comfy at night. MSR Ceramic Cookware: Matt and Ryan cooked us up some amazing Thai and Mexican inspired meals on the new ceramic cookware line from MSR. These aluminum pots and pans feature a durable, nonstick ceramic coating (better for you and the environment than Teflon) and come in a 1.5L, 2.5L and skillet style, all compact enough for backcountry use. MSR TrailShot Microfilter: We had one trail shot with us at basecamp and with a simple squeeze, we were able to quickly filter water for all 9 of us. Black Diamond Contact Crampons: A classic 10-point crampon for mountaineering and glacier travel, the Contact features a durable stainless steel construction and a stable, lightweight design. These crampons worked well with our La Sportiva boots. La Sportiva Trango Cube GTX: These are perfect boots for climbing Mt. Baker. Lightweight, warm, and waterproof, they offered enough flexibility that I could comfortably hike the approach in them, but stiff enough to provide support on steep, icy terrain. Helly Hansen Vanir Softshell Pants: Be on the lookout for these next spring as they are my new favorite softshell pants. With a slim profile but lots of stretch, these pants don’t get dumpy after wearing them for a few days. A nice high back waist works well with a harness. 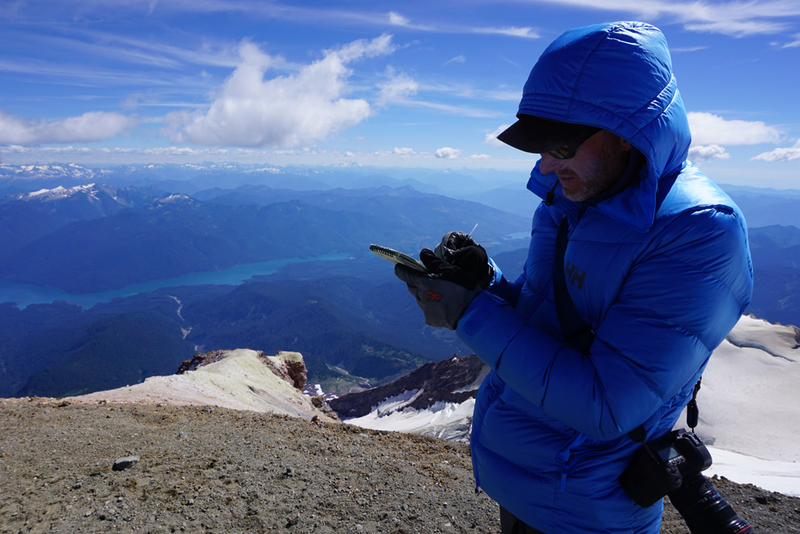 Columbia Sportswear Titan Ice Hoody: Climbing or hiking under the midday sun requires a solar hoody, especially in you are on the middle of a radiating glacier. Another one to look out for next spring. Helly Hansen Vanir Heta Jacket: A Spring ‘17 piece, the Heta is a combination hardshell/softshell, giving you both the weather protection and high-exertion breathability you need when climbing. Helly Hansen Icefall Jacket: Stuffed with 700-fill goose down, this insulated jacket uses strategically placed water resistant PrimaLoft Silver insulation to ensure you stay warm regardless the weather. Black Diamond Half Dome Helmet: With an improved fit and weight savings of more than 40 grams over the original, the Half Dome is an all-purpose workhorse ideal for everything from trad cragging to alpine expeditions. Black Diamond Raven Pro Ice Axe: A tried and true classic for glacier travel, this mountaineering axe is built with lightweight aluminum/stainless steel materials. Suunto Spartan Ultra: Full review still to follow but you always want some sort of timepiece when climbing and one that has a long battery life and also gives you accurate elevation and distance can’t be beat. The compass and breadcrumb navigation features could help you safely pick your way back down the glacier in a whiteout. 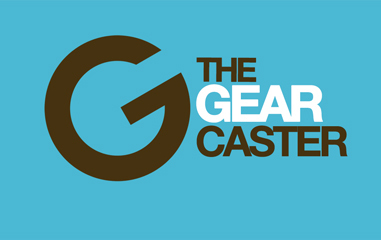 Granite Gear Crown2: Super minimalist but fully functional, this pack weighs only 2 pounds. The 60L volume was barely enough to fit all my personal gear, ½ a tent, and group gear for hauling up to basecamp. Regardless, it did carry the heavy load comfortably. Although it offers some weather protection, I am not a fan of the rolltop closure for alpine packs — if you fill them to capacity, you can never secure the closure properly. On summit day, I ditched the lid and the side compression straps cinched down the extra volume to make a low-profile and lightweight summit pack. And the huge stretch mesh pocket along the front comes in handy for packing out your WAG BAG at the end of the climb. I love those boots, but mine look like someone poo’ed Skittles all over them. Looks like a great trip! LOL. All the guys said the same thing and were a bit jealous of the women’s color scheme. Embrace the Skittle poo!